The Grande North in Downtown San Diego is located at 1205 Pacific Highway in San Diego. The Grande North was completed in 2005 with a total of 221 units on 39 floors. There are two towers at the Grande, Grande South and Grande North. Grande North has great views of the water and downtown San Diego skyline. You have panoramic views and can watch the cruise ships come in. If you are looking for a condo in the downtown area of San Diego then the Grande North should be on your list. Homeowners association dues typically average $800.00 a month. 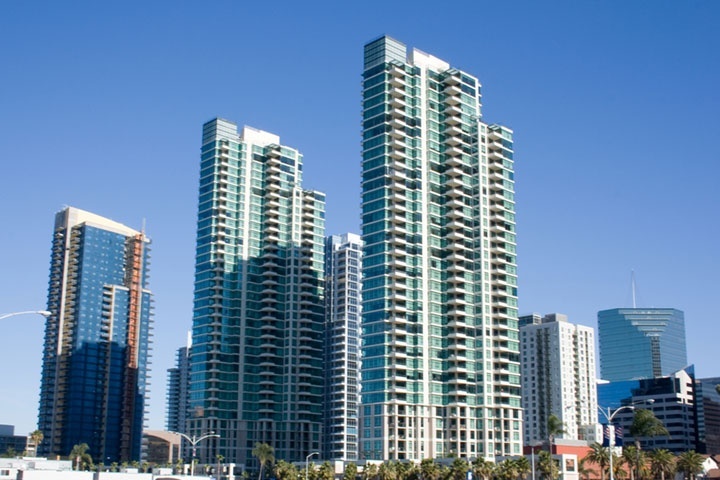 Below are the current Grande North downtown San Diego condos for sale. If you are looking for a downtown San Diego condo for rent please visit our San Diego rentals page. We also provide all sold Grande North condo sales at our San Diego Sold Search. All San Diego homes and San Diego Condos for sale are also listed below in the various San Diego neighborhoods. Questions? Let our team of San Diego Realtor Associates help you. Please contact us at 1-888-990-7111 today.